The way the Wildlife Trust is looking after local wildlife is changing. Studies have shown that we need to think big for nature if it is going to stand a chance in face of climate change and ever increasing amounts of development. 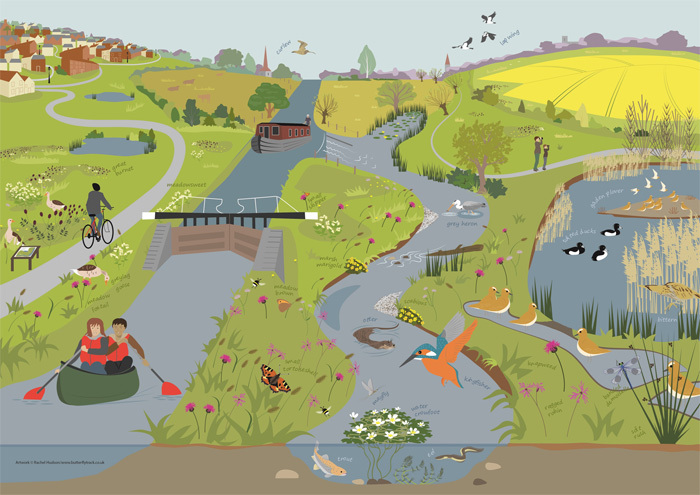 This means connecting existing nature reserves together and creating wildlife corridors and this will be the main focus of the Wildlife Trust’s work over the coming years. Covering more than 41,000 hectares, the Nene Valley is one of our main Living Landscapes and we’ve been working closely with land owners, managers and other charities to create a ‘joined up’ landscape that is more valuable for wildlife, allowing it to move and disperse more freely. As well as being beneficial for wildlife, Living Landscapes are also good for people. A healthy environment aids food production and gives us clean air and water. It gives us places to explore and enjoy. Research has shown that regular ‘contact with nature’ has a positive impact on our mental and physical health and, across Northants, 95% of people live within 5 miles of one of our reserves.